Moldova 2014 "National Museums of the Republic of Moldova"
On May 3rd 2014, Post of Moldova issued a set of stamps, shows three National Museums of the Republic of Moldova. 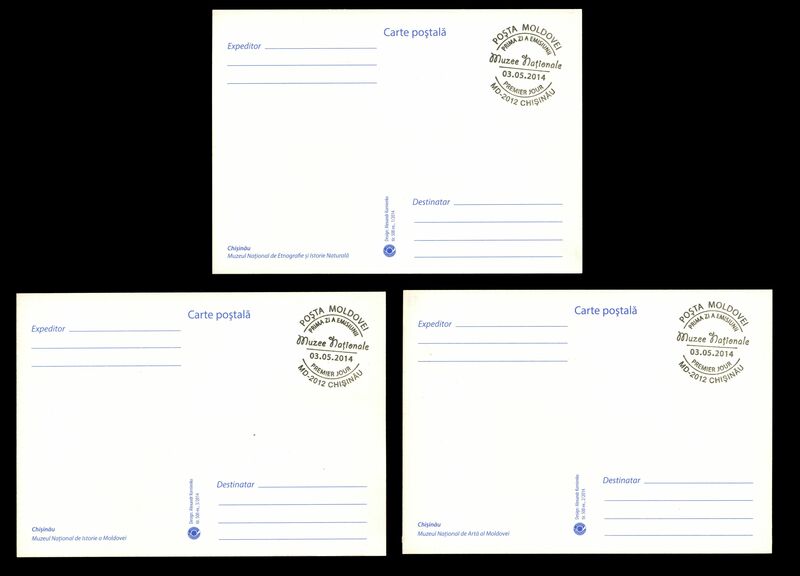 Stamps issued in mini sheets of 10 pieces: five rows of two stamps with various coupons in the middle. 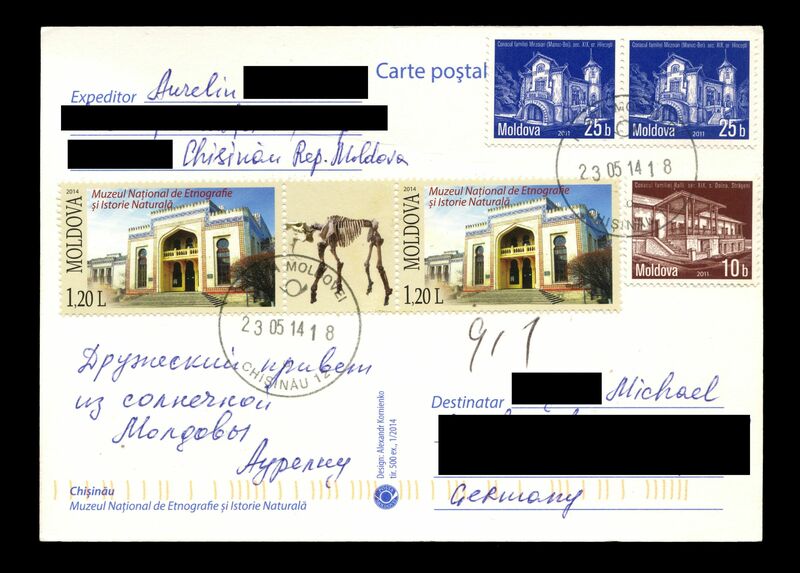 One of a coupons of a mini-sheet of The National Museum of Ethnography and Natural History stamps sheet shows fossilized skeleton of Deinotherium Giganteum from the museums collection. 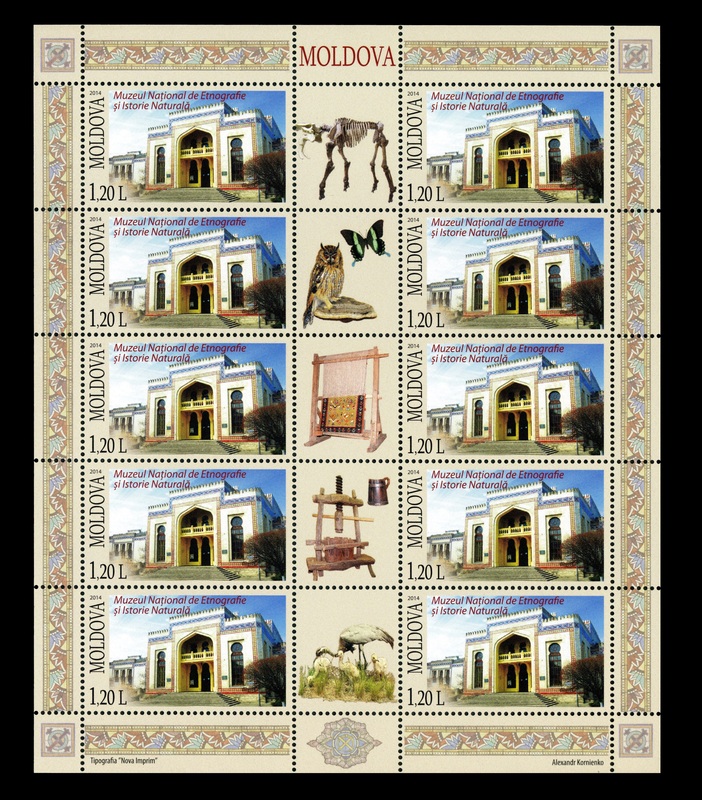 (In 1995 the Deinotherium appeared on post stamp of Moldova already ). 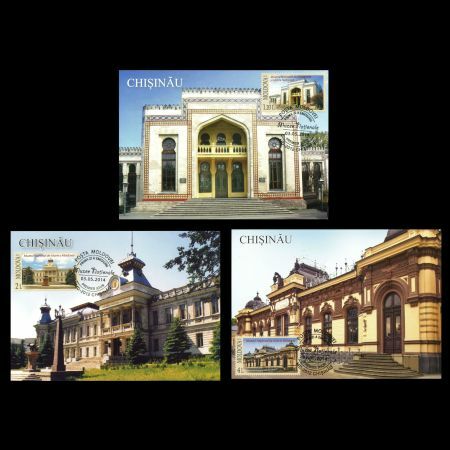 The National Museum of Ethnography and Natural History is the oldest museum in Moldova, located in Chisinau, the capital of the country. 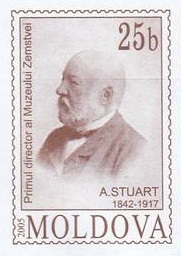 It was founded in October 1889 by initiative of Baron A. Stuart. At the beginning it was museum of agriculture and was situated in another building. 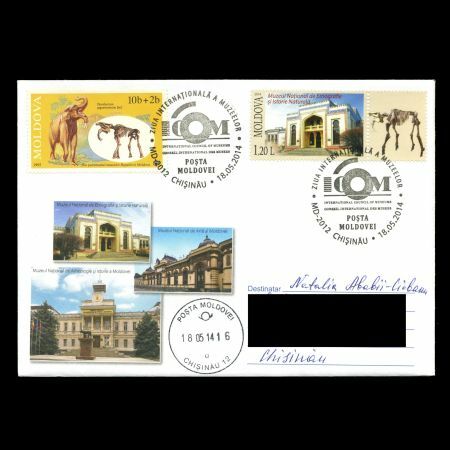 The name of museum has changed for several times however the main idea – research of nature and culture of Bessarabia – had never changed. The building of museum was constructed in 1903-1905 by the project of architect V. Tsigankov. This is the building the museum is situated in till present day. 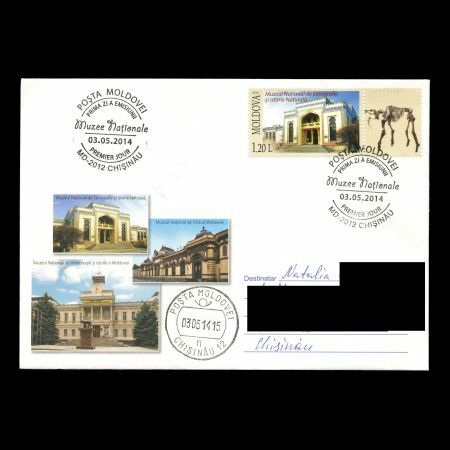 Nowadays the museum is an important scientific and cultural center of Bessarabia which is also known abroad. The museum is divided into 2 logical parts. 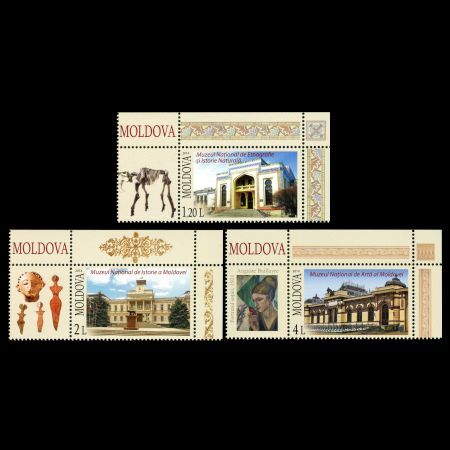 The first one is dedicated to flora and fauna on the territory of Moldova. Here visitors can see the modern flora and fauna of the country and also how it looked many years ago, how the nature changed. 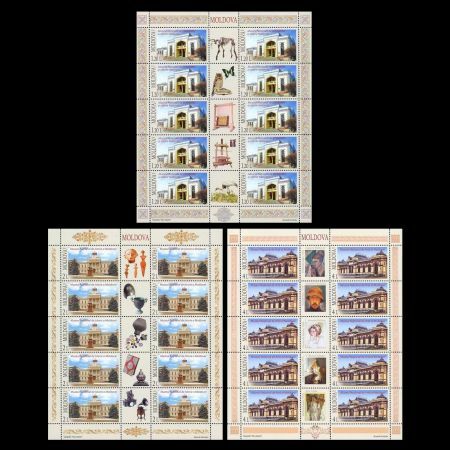 The history of nature development from Achaean till nowadays is shown there. The other part of the museum is dedicated to people living on this territory, their customs and traditions. Here visitors see many ancient things which where used in every-day life. Here thehistory of their developing is visible. 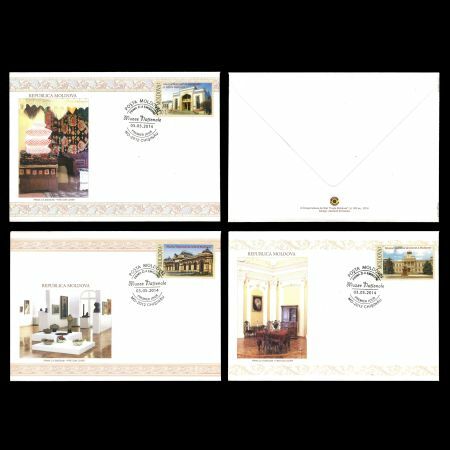 Traditional costumes, interior of house and the scene of local wedding are of great interest. The museum also has its own botanical garden which was based in 1906. It was the first botanical garden in Bessarabia and it exists till nowadays. The museum includes geological, palaeontological, zoological, entomological, archaeological ethnographic and numismatic collections. Among the showpieces of museum there are also the unique ones. 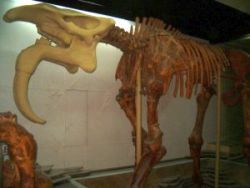 For instance, the skeleton of gigantic mammoth-like prehistoric animal - Deinotherium Giganteum who lived during the Pliocene Epoch (5.3 million to 1.8 million years ago), shown on one of coupons of the sheet. The skeleton was discovered in 1966. Deinotherium ("terrible beast" ) was a large prehistoric relative of modern-day elephants that appeared in the Middle Miocene and survived until the Early Pleistocene. During that time it changed very little. In life, it probably resembled modern elephants, except that its trunk was shorter, and it had downward curving tusks attached to the lower jaw. The way Deinotherium used its curious tusks has been much debated. It may have rooted in soil for underground plant parts like roots and tubers, pulled down branches to snap them and reach leaves, or stripped soft bark from tree trunks. Deinotherium fossils have been uncovered at several of the African sites where remains of prehistoric hominid relatives of modern humans have also been found. Deinotherium's range covered parts of Asia, Africa, and Europe. Adrienne Mayor, in The First Fossil Hunters: Paleontology In Greek and Roman Times, has suggested that deinothere fossils found in Greece helped generate myths of archaic giant beings. 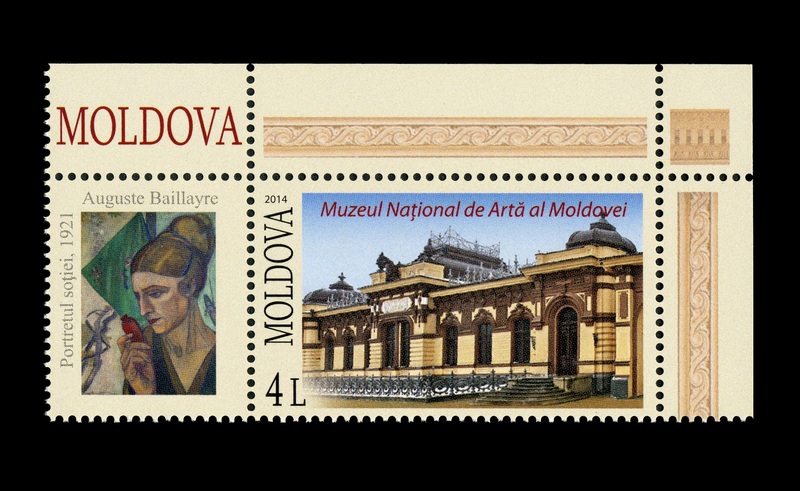 The National Museum of Fine Arts (Romanian: Muzeul Naţional de Artă) is a museum in Chişinău, Moldova, founded in November 1939 by Alexandru Plămădeală and Auguste Baillayre. 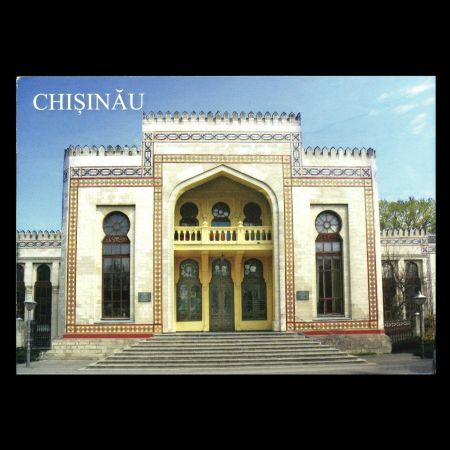 In 1939, the sculptor Alexandru Plămădeală selected some 160 works of Bassarabian and Romanian artists in order to set up the first Picture Gallery of Chişinău whose director was Auguste Baillayre, painter and professor at Ecolle de Belle Arte of Chişinău. The first museum of Bassarabian fine art was opened on November 26, 1939; its successor becomes National Art Museum of Moldova. In the first days of World War II, the art pieces displayed in the Gallery, together with others donated by the Ministry of Culture and Cults of Romania were loaded into two lorries and delivered to Kharkiv; the destiny of these collections remains unknown until present. 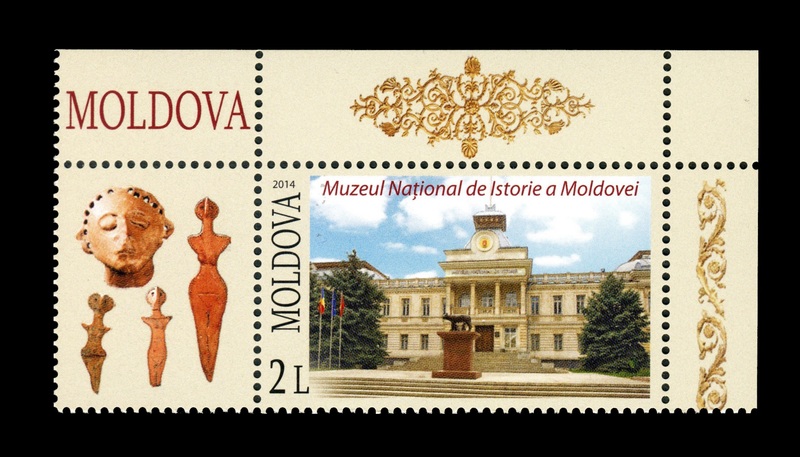 The building of the museum (architect Alexander Bernardazzi) is a monument in Moldova.